Classical Music warms up the Yarra Valley this winter - Australian Wine Tour Co.
What are you doing on a wintry Sunday afternoon at 2pm? What you should be doing is partaking in one of the Yarra Ranges ‘Classical Tracks’ events. Part of the greater Arts, Culture and Heritage ‘Culture Tracks’ program, these accessible Sunday afternoon music events showcase local and international performers in fabulous Yarra Valley settings. Commencing last Sunday with the 8 piece a capella group “Consort of Melbourne,” this weekend the musical event will feature one of Australia’s most acclaimed pianists Tamara – Anna Cislowska Recital: A Tribute to Peter Sculthorpe at the Montrose Town Centre, 935 Mt Dandenong Tourist Road. Apart from the event timing of 2pm being great for families, the Melbourne Recital Centre ‘Share The Music’ program allows a child 17 years or under to attend free of charge with an accompanying adult ticket. Designed to encourage access across all age groups, this program is curated by outgoing Melbourne Recital Centre director, Kirsten Siddle and features an incredible array of outstanding performers. From the Grigoryan Brothers playing the Warburton Arts Centre to The Australian Chamber Orchestra featuring emerging musicians playing in Montrose, folks visiting the Yarra Valley are getting a mixed bag of greatness running from now until late August. 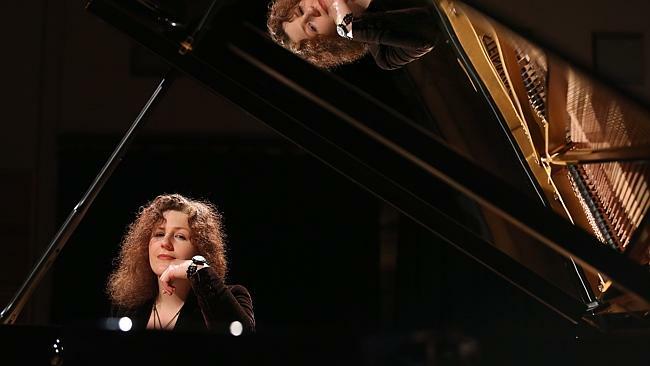 Tamara-Anna Cislowska, one of Australia’s most accomplished pianists, will be showcasing a range of Peter Sculthorpe’s compositions with which she has an intimate relationship. From Cislowska to the plethora of strings, pianos and much more, the Yarra Valley from Upwey, Montrose, Warburton and more will not know what has arrived. Of course, another great thing about these music concerts is that I can sneak in a few wineries and some lunch first. So I now know what I’m doing on Sunday afternoons. See the following link for further details about the Classical Tracks program.